The number-three-ranked UQAM Citadins eliminated the second-ranked Concordia Stingers in the semi-final matchup of the men’s Réseau de Sport Etudiant de Québec basketball playoffs by a score of 70-63 Friday night at McGill’s Love Competition Hall. 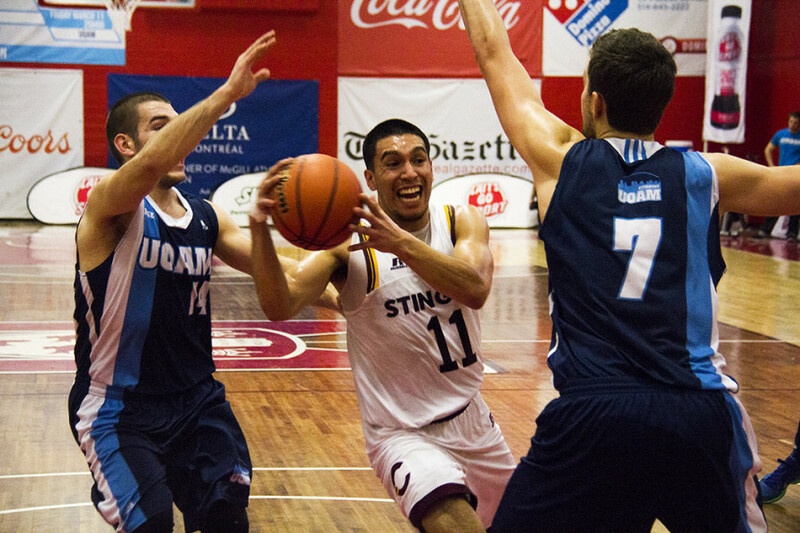 The Citadins finally found a way to defeat the Stingers, who had the upper-hand coming into this playoff matchup having won all four regular season meetings. Losing the first two regular season games by 13 points, the Citadins reduced the gap by five and two points in their last two encounters, respectively. The Citadins owe a huge part of their success to point guard Greishe Clerjuste. With 24 points and 12 rebounds, he was named UQAM most valuable player at game’s end. Furthermore, he had a high three-point field goal percentage of 75 per cent. Jaleel Webb was Concordia’s most valuable player. The Stingers started off on the wrong foot as UQAM raced out to a 13-0 lead in the first quarter. UQAM passed and dribbled the ball much more than their opponents, capitalizing on many close range shots. 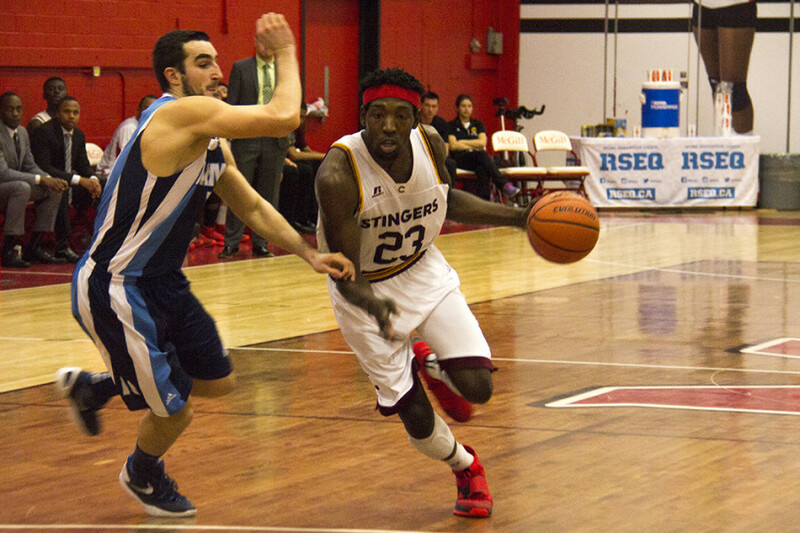 The Stingers, on the other hand, were unable to contain the Citadins’ fast-paced game. After the first quarter, the Stingers woke up. Despite being down 30-20 midway through the second quarter, they managed to decrease their deficit by three points. The Citadins were up 37-34. The second half of the game told a different story. Concordia took their first lead of the game with 6:45 minutes left in the third quarter. With emotions running high on both sides, it was a question of which side could keep it together for the rest of the game. The last quarter was a nail-biter, both teams were tied at 52-52 midway through. With 47.4 seconds remaining in the game, the score was 64-62 in the Citadins’ favour. A costly foul put a damper on Concordia’s hopes, as Clerjuste converted on two free-throws. Soon after, the same Clerjuste stole the ball from Concordia and ran all the way down to score two points. 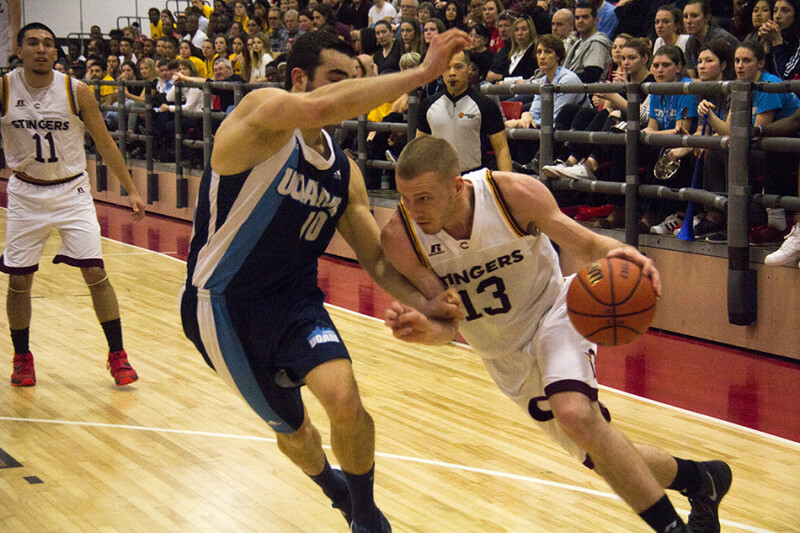 The Stingers hopes of a comeback were dead by that point. 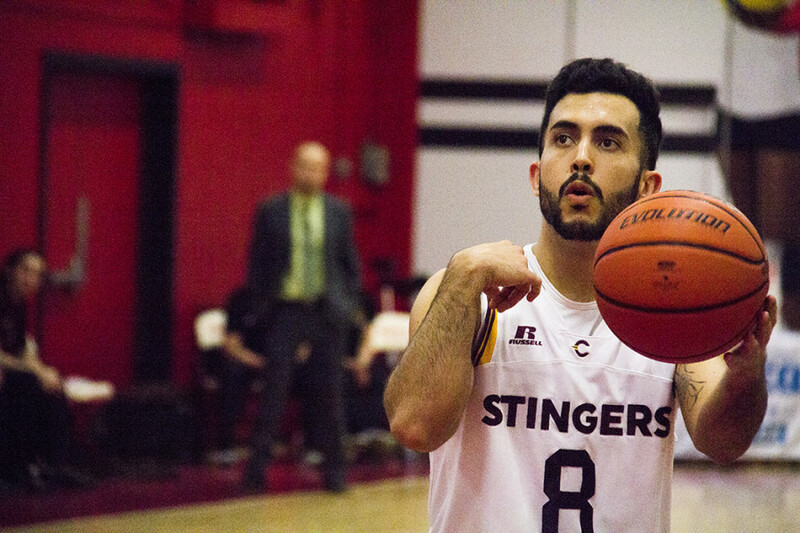 The Stingers will have a chance to ponder on the season in the next couple of weeks, but for now, they are feeling the effects of a surprising playoff exit.